Technological advances have been a driving force in the practice of medicine. From the discovery of x-rays' medical applications to the utilization of dialysis and surgical transplantation of organs, technology has presented new opportunities, and at times, ethical challenges for physicians. In recent years, the increased proliferation of social media tools has had a significant impact on how people engage with one another, and how they want to engage with their healthcare providers. Medical schools have begun to examine some of the issues surrounding use of social media in the context of professionalism in their curricula. Many of the physicians already in practice are left to grapple with how to learn about and wield social media in not only a professional capacity and their personal lives, but often where the two intersect. 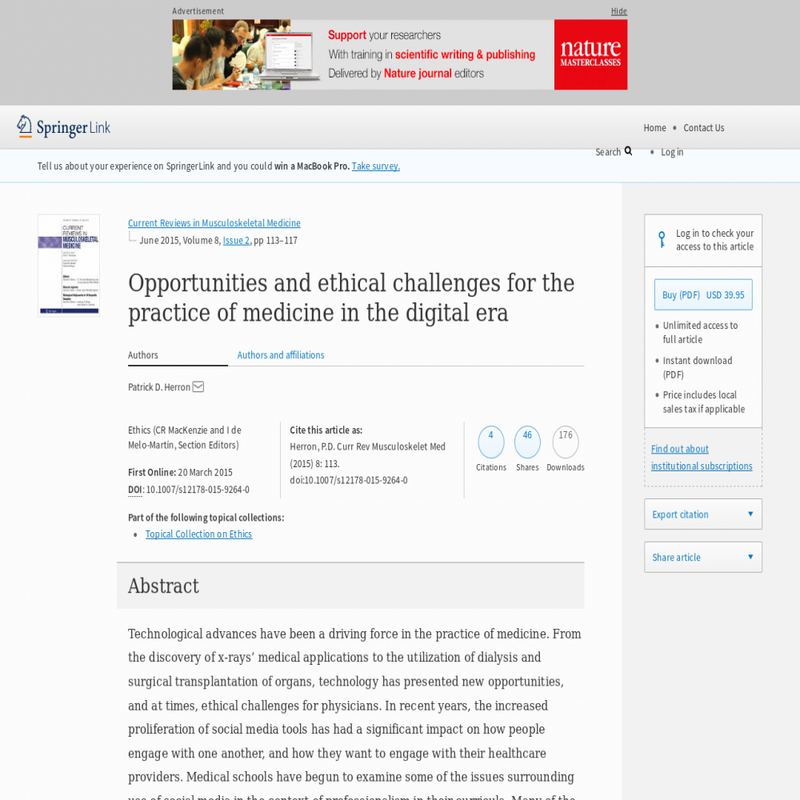 This paper will explore both opportunities for social media engagement and ethical concerns such usage presents to physicians and in particular to those in the field of musculoskeletal medicine.